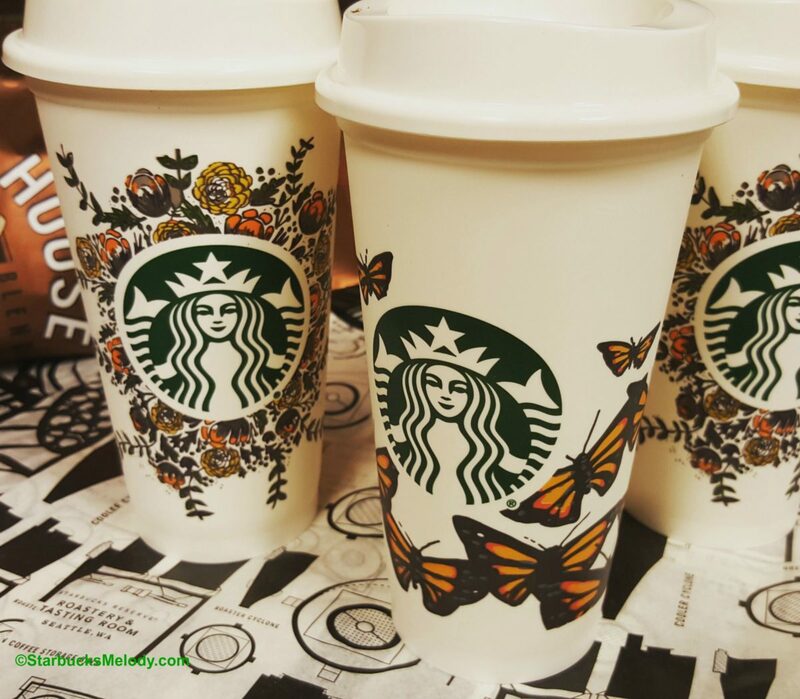 Beautifully decorated reusable Starbucks cups coming soon! 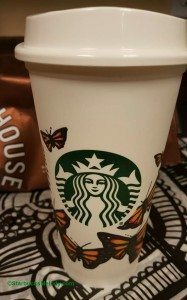 There are new reusable Starbucks cups coming soon! They launch in stores on September 8th. Just for some quick background, Starbucks introduced the plastic reusable cup in the fall of 2012. Originally it was a Pacific Northwest item only, but quickly went national after that. 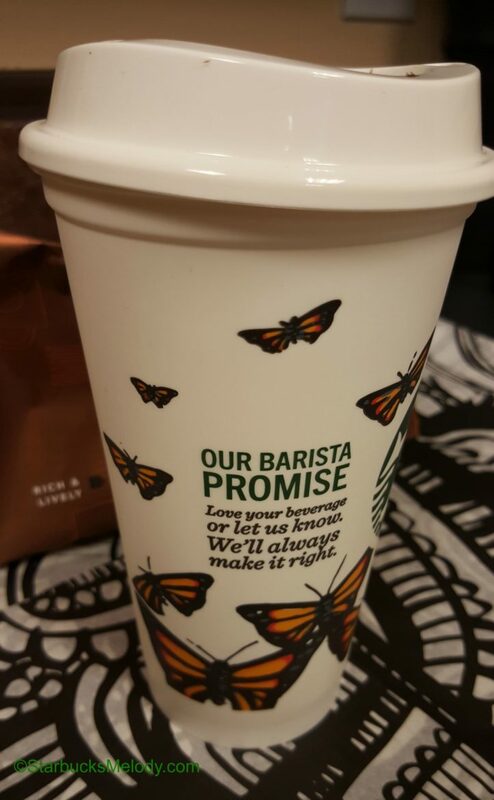 These cups are were originally plain white, just like the classic Starbucks paper cup, and were originally $1. They are designed for about 30 uses. Since that time, Starbucks has launched a number of decorated versions of the cups – the decorated versions are always $2. The three new versions (starting on September 8th in the United States) are all partner-created cups. That means that one of your favorite baristas entered a contest and his or her lovely cup won! 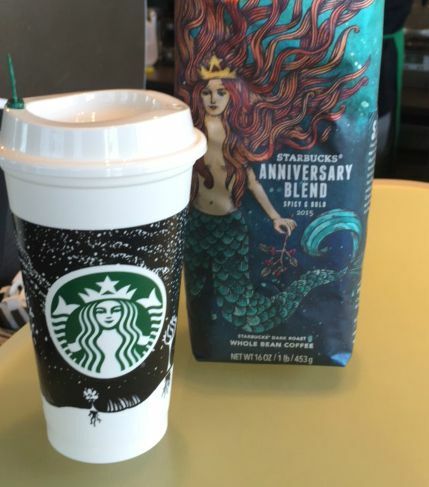 Starbucks announced these three cups were coming back in May of this year. What’s truly cool about these cups is that each time you purchase one of these three new reusable cups, Starbucks will donate fifty cents to the CUP Fund. Not all three cups will be in one store. 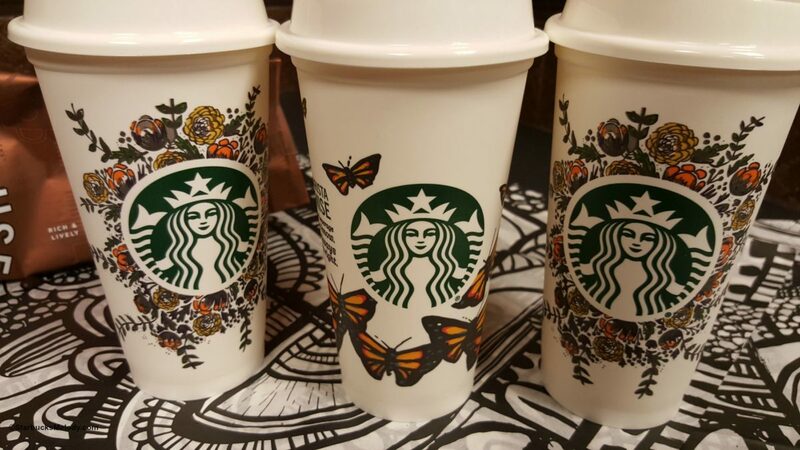 Each Starbucks will only sell one of the three designs, depending on their region. The butterflies is by far my favorite! I remember seeing lots of Monarch Butterflies as a kid in California. It’s just a sweet memory. these are fantastic! the only drawback to this entire product line is that the plain, original cup is now $2 as well. i actually told a customer they were $1, but they’re not. It seems like the plain ones should be a little less than the decorated ones. @JennInGa – Maybe Starbucks should price the plain ones at $1.50? Great idea! Love the designs (hope the butterflies are in our area!). These really are lovely. I, personally, was not crazy about the geometric one, so I haven’t purchased one since the pretty red ones at Christmas. Just might have to get one of these. Really like the one with the flowers. I adore the flower one!! I can’t wait to see what stores end up getting! 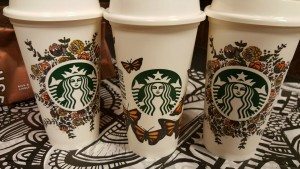 The flower cup will be sent to stores in the west part of the country, the night sky version sent to the stores in the central section (this includes TX where I am), and then the butterflies should be everything on the east side. Obviously there is wiggle room for who gets what but that is the general plan. I’m excited for night sky one! Claire – That helps a lot. Thank you. I’ve heard mixed things on this but I believe you have better information than me. I’m going to assume that you’re right! The butterfly one is beautiful! We got the butterflies. Nice design for sure, but I know I would always end up leaving it at home. There are also some very nice new key chain cards. I called two of my local stores this morning 9/8/15 and they didn’t have the boxes unpacked yet so hopefully this afternoon they will know what our options are here in Phoenix Arizona. 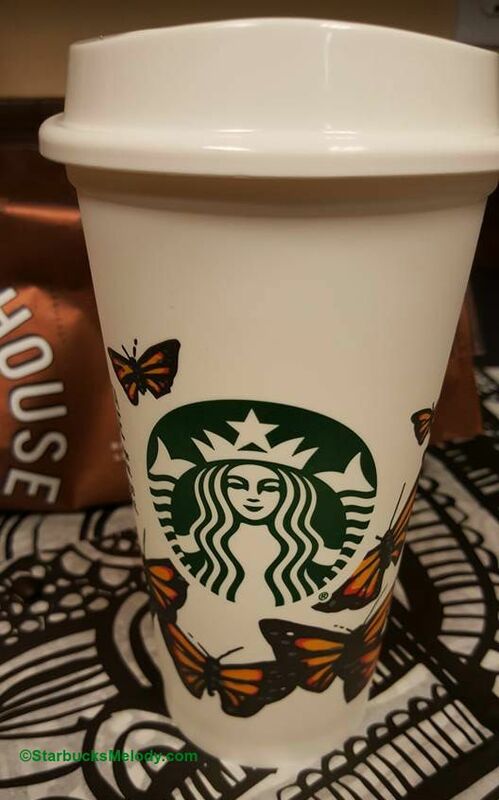 From the previous post sounds like it will be flowers but I was hoping for a butterfly cup. I didn’t have a chance to stop by today to take a peek. I need the flower one! But the butterflies are growing on me too. Mel, I can pick you up a Night Sky if you need, and my region gets that one! My store in Ohio got the starry sky cup. I’m currently visiting Seattle (thanks for all the great tips on your blog) and I’ve only seen the butterfly one. I’d love to pick up a flower one too if anyone has spotted them. I have been looking for night sky! I have a dew of dlowers and butterflies. I have access to those. Can i order a night sky? Or does anyone want to set up trade? As for the night sky decorated cup, you might need to turn to eBay. Each cup was only available in certain regions. Sorry! I have been all over town looking for the plastic flower cups that are $2. Very disappointed because I cant find any, one shop had them and when I went in the clerk said some lady just bought 40 of them. All I want is 6 for the girls in my office. Can you PLEASE help me out and let me know where I can find them. I live in Plum, Pennsylvania. Hi all, I have the Starry Night Sky – I would love to trade – I am hunting down the Butterflies… if anyone wants to swap would love too do so.